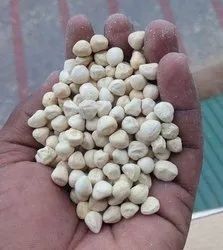 We are a leading Manufacturer of moringa kernel / moringa dana / sahijana magaj, ambadi seeds - hibiscus seeds, safflower seeds - kusum beej, shatavari seeds (yellow & white), kalijeeri -somraj - centratherum anthelminticum and custard apple seeds - sitaphal beej - annona reticulata from Neemuch, India. 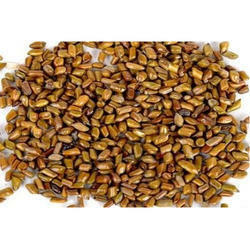 Ambadi seed oil is extracted from seeds of theambadi plant (Hibiscus cannabinus), also called kenaf. It is an annual or perennial plant in the Malvaceae family and related to the roselle plant (Hibiscus sabdariffa). 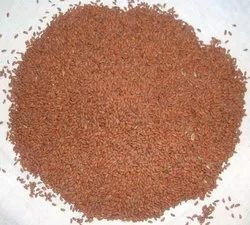 Safflower, Dyers' saffron, False saffron Taken hot, safflower tea produces strong perspiration and has thus been used for colds and related ailments. It has also been used at times for its soothing effect in cases of hysteria, such as that associated with chlorosis. Powdered seeds made into a poultice used to ally inflammation of the womb after child birth. Flowers of this herb is useful for jaundice. Shatavari – Asparagus racemosus helps mother to lactate more, useful in treating male and female infertility, induces sleep, calms mind and stomach and much more. 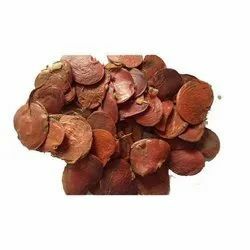 Centratherum anthelminticum is a herb mentioned in Ayurveda for the treatment of intestinal worms, skin diseases, fever, gynecological disorders and general debility. Annona reticulata is a small deciduous or semi-evergreen tree in the plant family Annonaceae.It is best known for its fruit, called custard apple, sometimes it is called wild-sweetsop, bull's heart, bullock's-heart, or ox-heart. The flavor of the fruit is sweet and pleasant, but less popular than that of A. cherimola. Hindi name: Amla, Awla, Anwala, ambala, amlika, anwala. Telugu name: Usiri Kaya, Usher Kayi, amalakamu, nelli, peddausiri, putlayusirika, usiri,usirikayi. Tamil name: Nellikkai, perunelli, nellikaay. Malayalam name – nelli, nellikai. Urdu name – aamla, amal khushk. Marathi: aouli, avalkati, avil, avla. Chakramard – Cassia tora is probably the underdog among medicinal herbs. 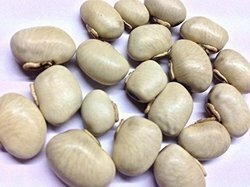 It has anti-cancer potential, externally used for snake bite poisoning, it reduces cholesterol and more. Kaladana or Ipomoea hederacea is an Ayurvedic plant used for the treatment of-of skin diseases, fever, headache, worm infestation and for inducing purgation. It is called Krishnabeeja in Ayurved. 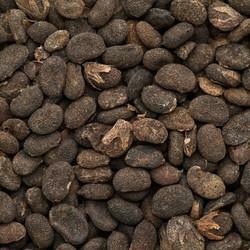 Butea (Palash) is native to India and is found throughout the country. Palash tree is also known as ‘flame of the forest’ because of its red colored flowers. It is a medicinal tree and its different parts are used to cure various clinical disorders. Nirgundi – Vitex negundo is a very good muscle relaxant, pain relieving, anti mosquito, anti-anxiety, anti-asthma and so on, herb of Ayurveda. 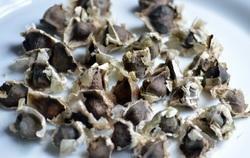 There are very fewer herbs as multi-talented and as versatile as Nirgundi is. Used both for external application in the form of paste/oil and also for oral administration in the form of powder, leaf juice extract or water decoction. Botanical name: Dhatura Metel, Argemone Mexicana Linn. Ashwagandha – Withania somnifera is one of the most powerful gifts of nature and Ayurveda to the humanity. 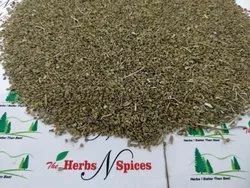 Talk about Ayurvedic treatment for anxiety, leucoderma, depression, insomnia, weight gain, weight loss, immunity, muscle strength, bodybuilding, antioxidants, sexual stimulant and so on.The herb does it all and more. 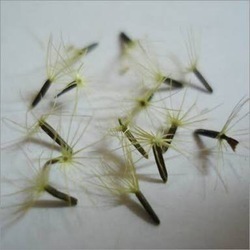 As a recognized name in the industry, we are providing a high quality range of Isabgol Seed. Bibhitaki, also known as Baheda in Hindi, is one among three fruits of Triphala. Its actual Sanskrit name is Vibheetaki. Bheeta means, fear. Vibheeta means lack of fear and Vibhitaki means the fruit that takes away the fear of disease. But in Hindi, they usually pronounce ‘va’ as ‘ba’. So the name Bibhitaki. Its botanical name is Terminalia bellirica / bellerica. 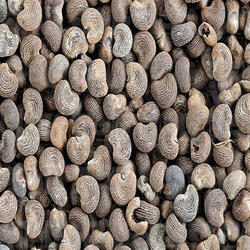 Kapikacchu – Mucuna pruriens is a very famous multi-faceted herb of Ayurveda, with immense health benefits. Its usage is spread from to neurological conditions. Its extract – L-dopa is widely used in the treatment of Parkinson’s disease. 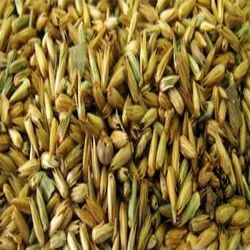 It is widely used in treating sexual and neurological disorders. 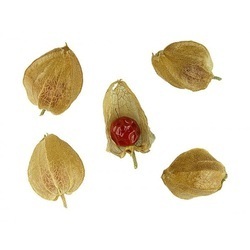 Abelmoschus moschatus – Muskdana seeds are added to coffee for flavouring. Its leaves are used as vegetable. It cleanses urinary bladder, acts as and is useful in eye disorders. 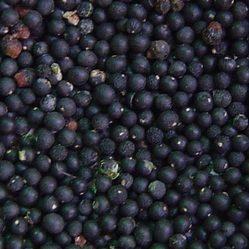 Black gram (seeds of Vigna mungo) is a rich source of iron, calcium, phosphorous, potassium, and magnesium. Regular consumption of a certain amount of black gram in various forms of food certainly boosts the energy and it fulfills the body’s iron and protein demand. 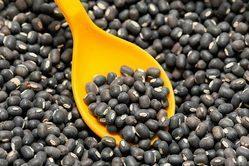 Ayurveda refers black gram as Masha and it is considered as a good food for weight gain. 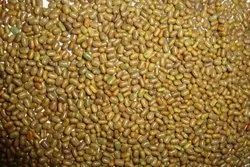 Also, pulses of dehusked black gram improve digestion (even though it is heavy for digestion) of food due to its rich fiber content. 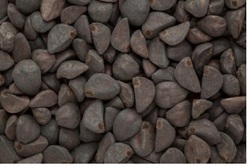 In addition, due to its rich fiber content, it acts as a laxative. Bakuchi is an Ayurvedic herb, very well known for its efficacy against skin diseases including leucoderma. Its botanical name is Psoralia corylifolia. It belongs to Fabaceae family. 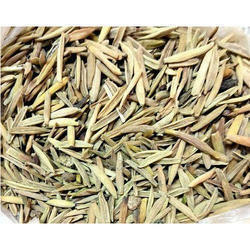 Bhallataka is one of the most powerful and fast acting Ayurvedic herbs. 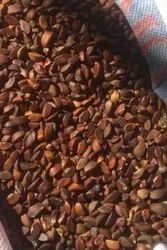 It is used extensively in piles, skin diseases, etc. 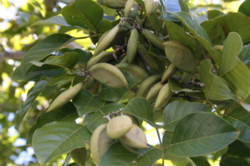 Its botanical name is Semecarpus Anacardium. It belongs to Anacardiaceae family. Since it is very hot in potency, it is used only after purification procedures. Tamil name – cenkottai, arutkaram, ceraankottai, erimuki, sengottai, seraangottai. Kannada name – aginimukhi, bhallataka,chera, gerkayi,kerubija. Malayalam name – alakkuceru, cera, cerkkotta, shengotta, thenkotta. Samskrtam name – agnika, agnimukha, arushkara, bhallataka, bhtanashana, kshatakshataru, prithakabija, shailabija, sphotahetu, saphakrit, vahninama, virataru. Urdu name – baladur, bhilanvana. Telugu name -bhallaathaki, gudova,jeedi, thummeda maamidi, shenta, simidi. Marathi name – bibba, bibha, bibo, bibwa. Dhatura – thorn apple is a poisonous herb used in many Ayurvedic medicines after purification method. Datura metel is used in the treatment of skin diseases, fever etc. It is used for external application and rarely for oral administration. Memory enhancing herbs are the special areas of ongoing research. Malkangani – Jyotishmati is a one such herb. 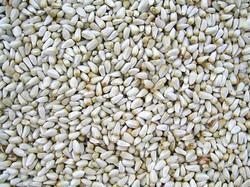 Its seeds, leaves and seed oils are the main usable sources in medicinal field. 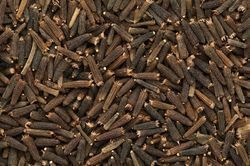 Moringa or drumstick tree is used as part of diet in India since ages. 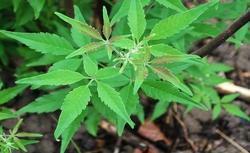 Its use in treatment is seen in Ayurveda from the times of Sushruta. Many of its parts like drumstick leaves, fruit, oil etc have immense health benefits targeted towards many systems like digestive, heart and circulatory system. 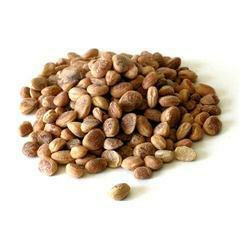 Karanja is an important Ayurvedic medicine, used predominantly in skin diseases. Karanja twigs were used as the toothbrush in ancient times. 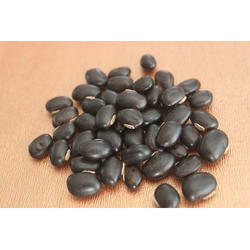 Kapikacchu – Mucuna pruriens is a very famous multi-faceted herb of Ayurveda, with immense health benefits. Its usage is spread from the aphrodisiac to neurological conditions. Its extract – L-dopa is widely used in the treatment of Parkinson’s disease. 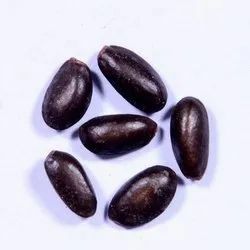 Botanical name: Mucuna pruriens Hook. 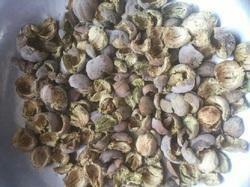 Amla seed is also very useful both for oral administration and for external application. Here is a simple home remedy for leucorrhea using amla seeds. 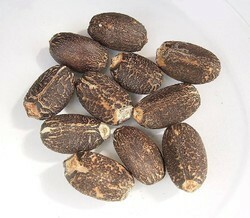 Taramira oil expressed from the seeds of Eruca vesicaria Cav. ssp sativa Thell ( syn. Eruca sativa) is used for culinary purposes( as a condiment in the preparation of pickles and for flavoring curries and vegetables ). The oil cake is mostly used as cattle feed. The semi-drying oil which is a substitute for rapeseed oil. It can also be used for lighting, burning with very little soot. The content of of thiofunctionalised glucosinolates (GLs), shows some interesting perspectives in integrated pest management. Our team of experienced professionals assists us to offer high quality Stevia Rebaudiana Seeds at highly competitive price to the clients. 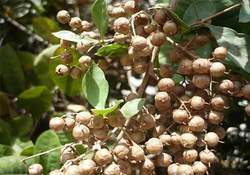 Kutaja is a very famous herb used in treating diarrhea, irritable bowel syndrome etc. 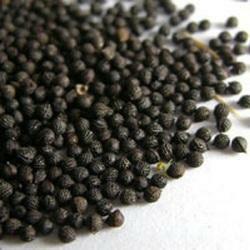 It is used in preparing very common Ayurvedic medicines like Kutajarishta, Kutaj Ghanavati etc.